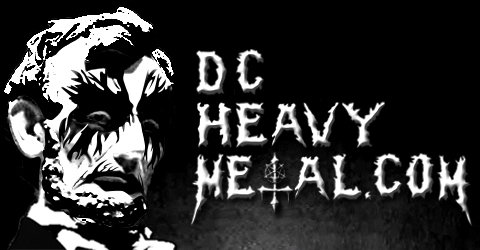 Here’s another ticket give away for readers of DCHeavyMetal.com! 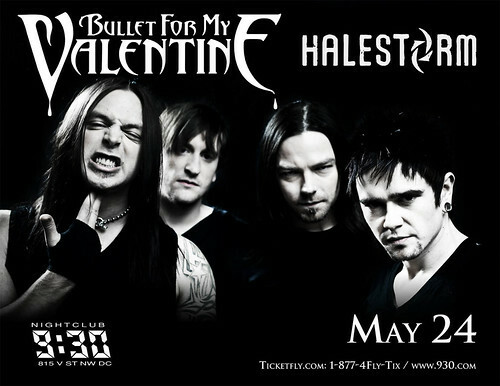 This time you can win a pair of tickets to see the Welsh metalcore band Bullet For My Valentine play the 9:30 Club on Tuesday 24 May 2011 with opening act Halestorm. To enter just tell me what your favorite metal band from the United Kingdom is in the comments at the bottom of this post. I’ll randomly select a winner to get the tickets from all eligible entries at 5pm EST on Sunday 22 May 2011. Be sure to use a valid email address you check regularly when you enter (the email address does not have to be in the post itself) so that I can contact you if you win. If the winner does not respond within 24 hours I’ll pick another winner at 5pm the next day. And don’t worry, I won’t put your email on any lists or spam you, I hate that crap too. Don’t be a jerk and enter multiple times or I’ll disqualify all your entries. If you just can’t wait to get your tickets or the contest is already over when you read this, they’re available from Ticket Fly for $30 each here. thats a no brainer its Iron Maiden all the way.. UP THE IRONS FOR LIFE! Iron Maiden is my fav. UK metal band and has been since I bought their first album in Germany ’round about 1981. Picked it up because of the cool album art! Black Sabbath is my favorite old school heavy metal band from the UK, but my favorite new band would be Bullet for my Valentine. Not sure if I’d consider them heavy metal but I’m currently really into LostAlone. Black Sabbath. Without them there would be no heavy metal at all. Black Sabbath for sure. They were pioneers for metal. My dad started me on listening to them when I was younger and since then I have seen how they kind of shape what metal is today so overall metal would be not be what it is today without them. I’m gonna be different and post something newer.. Check out the band Anterior from the UK if you are into catchy metalcore. absolutely Iron Maiden. Last summer saw them at the jiffy lube pit. Tremendous energy and flawless performance – that opening band dream theater just could not compete. ON THE EDGE OF DARKNESS, i am one of THE CHILDREN OF THE BEAST with an intense FEAR OF THE DARK…. IRON MAIDEN ALL THE WAY!